Weekly liquid feed in mid to late summer. Chives, Garlic, Nasturtium, Cauliflower, Calabrese, Cabbage, Tomato and Lovage. 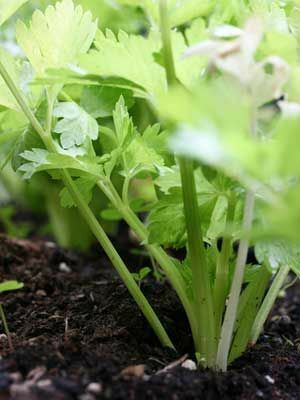 Unless using a self-blanching type, will need to be planted in trenches, then tubes wrapped round in mid summer and/or earthed up with soil. Keep moist during dry weather. Can cut frequently if required. In any case harvest before the first frost in autumn.